Help & DocumentationCollaboration and SharingAdding Context to Metrics Collaborate with OthersWhat is Expert Analysis? Expert Analysis provides the ability to include a permanent note on all types of elements visible in the viewer and represents an expert summary for the element. It should tell the user what is happening now and help them understand exactly what they are looking at and why it is significant. 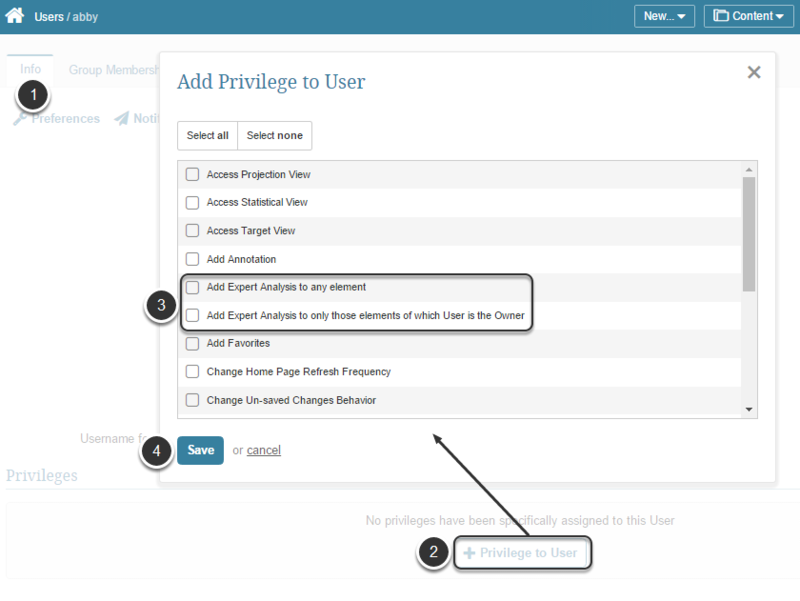 Administrators or knowledgeable Regular or Power Users that have been granted the Add Expert Analysis Privilege, can add this type of note. The author of the Expert Analysis may edit or delete it, so can any Administrator. Click Save to confirm your intention to assign this User / Group with a new Privilege. Optionally. You can add Attachments to your Expert note. Click Attach files and select the required document, file or report from your local machine. NOTE: More than one attachment can be added to the Expert Analysis. Make sure you add them one at a time. Notice that ALL Expert Analysis coments are associated with repspective tiles.